The birth of a new child is a time of great joy and celebration, and many parents wish to seek God’s blessing on their new baby. Here at St. Michael’s we believe putting God at the centre of family life is something of great importance. What is baptism? Christian Baptism (commonly known as Christening) is a sacrament that signifies spiritual cleansing and rebirth. 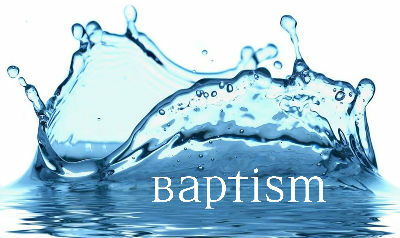 Baptism comes from a Greek word meaning ‘to immerse’ and in the church service it is the ritual act, with the use of water, by which a person is admitted to membership of the Christian Church. Baptism at whatever age marks the beginning of a lifetime journey of turning away from evil and living a Christian life. When a child is too young to speak for themselves parents give thanks for God’s gift of their baby and his or her new life following Jesus. So if as parents you bring your child for baptism, you will be asked to say on their behalf that you believe in God, and that you will bring up your child to follow Jesus. However, as an alternative to baptism, a Thanksgiving enables you to say thank you to God without the extra commitment and promises which baptism requires. However, you may also have a Baptism Service for your child at a later date when you feel ready. Baptism and Thanksgivings are held on the first Sunday of the month during the 10am Family Service, which is an informal and relaxed service for people of all ages, using our newly installed audio visual system to create a fun, engaging and relevant time together. Baptisms and Thanksgiving are exciting times, and we have created two documents which we pray you will find helpful.